“The woods are lovely, dark and deep, But I have promises to keep, And miles to go before I sleep, And miles to go before I sleep.” These last four lines of the poem Stopping by Woods on a Snowy Evening by Robert Frost were reverberating through my mind as I meandered down the road to the Terrel Jones Art Studio. The winter beauty of northwest Montana was accentuated by the recent snowfall of almost a foot that added a gentle quietness to the woods. The deep greens of the coniferous forest were punctuated by the white snow blobs precariously perched on branches. Terrel Jones works from her home studio in the mountains of Troy, Montana, where she has painted as well as taught high school art and Spanish since 1983. A child of the forests, she has spent most of her life living and traversing the lush spaces of the northwest, spaces that have found varied reflection in her work. Terrel enjoys concentrating on landscape painting, with emphasis on exploring texture, color, and patterning. She strives to investigate answers to the universal questioning of man’s ability to fairly co-exist in the natural world, to live comfortably and honestly while still honoring nature. And this question is pondered by many. Foresters often strive to live in a comfortable peace with nature while making an honest living. They honor nature by respecting her. When professional foresters are involved in marking timber they often are technically mimicking mother natures reaction to natural disasters. Fire, insects, and disease infestation, tree stand density, and other factors can damage tree stands severely. The forester heads through the woods marking the best trees to leave, the others will be harvested. In their hands is a paint gun, and they are directing the management of the forest with their choices. He or she will carefully examine every aspect of each tree to ensure the chances of the stand to recover. There is a quiet art to it. So, foresters paint trees too, but it’s nothing like what Terrel Jones can do. Daughter of a logger, Jones remembers Sunday afternoons spent at her father’s job sites, the foundation of a life to be lived with the trees: under them, among them, in them. You will see the presence of trees in many of her recent works that emphasize the texture and color of tree bark, the spaces between branches, the composition of the roots. Popping out of my rig and walking up to the studio door, I was greeted by this warm smiling artist and welcomed into her colorful studio. Looking out of a large window that lets in plenty of light, I admired the well managed forest cared for lovingly by her forester husband Ken Stephens. Jones attended Western Washington College in Bellingham, Wash. in the late 60’s, and after a decade of living in Peru, returned to Dillon to attend Western Montana College. 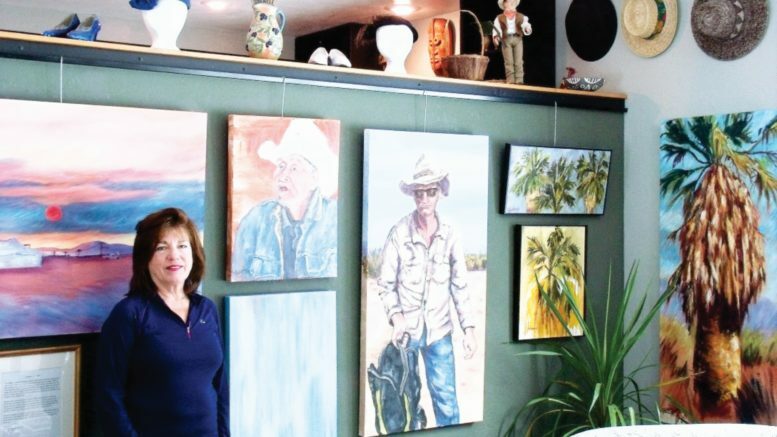 She earned a Bachelor of Science Degree in K-12 Arts, and then continued on to University of Montana in Missoula and earned a prestigious Masters Degree in Paintings. 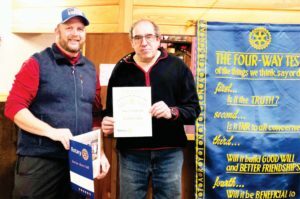 Terrel Jones’ art can be viewed at the Misty Mountain fundraiser in Sandpoint, Idaho, and the Sandpoint Art Walk that takes place from June through August. Jones is a member of Hockaday Art Museum in Kalispel, Mont. She also has a special place in her heart for our local Real Art Works (RAW) in Troy. Check out her artwork there, and one can always contact her for a studio visit or visit her website at www.terreljones.com. It’s truly enlightening to get to know Terrel Jones the Artist. She states, “It is not my intention to reproduce my subject matter in a photographically correct manner, rather to interpret and express what I feel in my own way.” That’s what actually makes each artist different, and Jones is certainly unique. For example, she likes to display art in unique ways such as having an exhibit of paintings of trees hanging on trees on her property near Troy. After speaking with Jonesand viewing her art, the natural beauty of northwest Montana, it’s woods and lovely trees, can be seen in a whole new light. 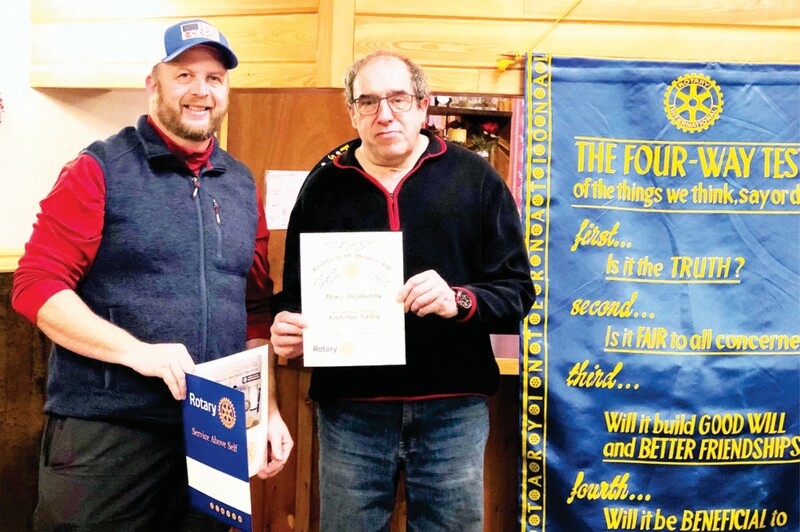 Bruce Weatherby of Sherpa Trailers was inducted into the Rotary Club of Kootenai Valley last week. Thanks Bruce for your commitment to Service above Self. Photo by Tracy McNew, The Montanian.